Free car parking is available onsite. 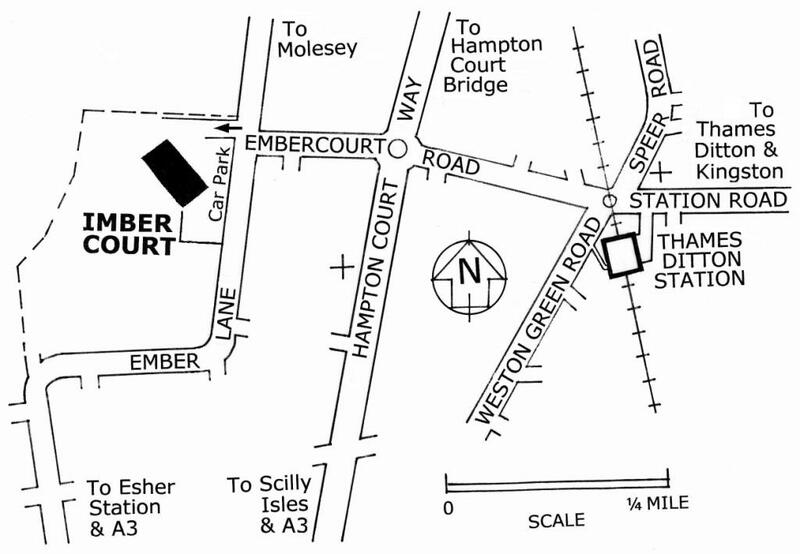 Imber Court is about half a mile from Thames Ditton railway station. We now meet in the Upstairs Dining Room - a 2-person lift is available but its use is restricted to people with mobility difficulties. Please purchase any required refreshments from the main bar.